Four people were injured in Bengaluru's Indiranagar when a speeding BMW car - allegedly driven by a senior executive of a company - rammed into an autorickshaw. Senior police officers said the injured are not in danger. According to the police, the driver of the BMW was in an inebriated condition. "He was clearly under the influence of alcohol when the accident took place," the Times of India quoted deputy commissioner of police, traffic (east), CK Baba as saying. The incident occurred at around 11:30 pm on 14 May at GM Palya Main Road, off CV Raman Nagar in East Bengaluru. Three men were travelling in an autorickshaw - from Jeevan Bima Nagar to GM Palya - to attend a temple festival when the BMW 320D hit their vehicle. Sudhamohan, the autoriockshaw driver, told reporters that the BMW tried to overtake him from the wrong side and rammed into his vehicle. 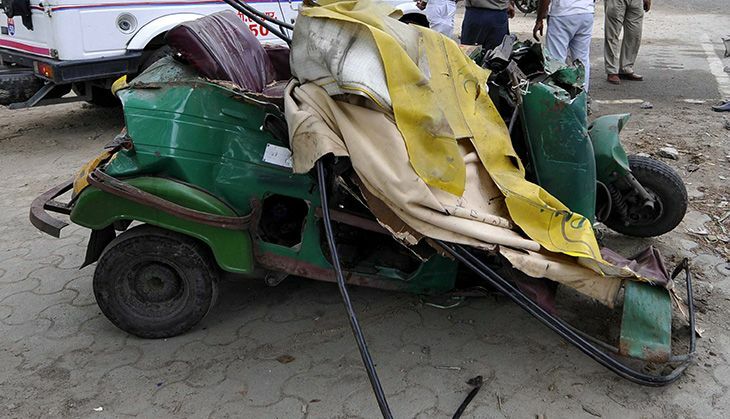 "The car hit us from the side and the autorickshaw tilted. Even though we were injured, the car driver didn't come to our help. Some passersby took us to the hospital," one of the injured told The Times of India. Three cases were slapped on the accused, Samrat Chadha, a senior executive of a Bengaluru-headquartered company. According to The Times of India, footage from a mobile phone camera showed Chadha arguing with the police - when he was asked to blow into the alcometer to record the alcohol content. The footage also showed a policeman on duty slapping Chadha when he refused to blow into the machine. Cases under IPC sections 337 (causing hurt by act endangering life or personal safety of others ) and 279 (rash driving or riding on a public way) and section 185 of the Motor Vehicle Act (driving by a drunken person or by a person under the influence of drugs) were registered against Chadha, the TOI reported. Kammattipaadam trailer: Will Dulquer Salmaan's hard work in Rajeev Ravi film pay off at the Box Office? READ NEXT >> Kammattipaadam trailer: Will Dulquer Salmaan's hard work in Rajeev Ravi film pay off at the Box Office?